There are several reasons why you computer boots unusually slowly. Many times it is because of too many installed programs, especially if they start at the same time. The worse thing that can happen to you is to wait for your computer to boot and after an error, it turns off and starts the boot process again. But don’t desperate on that moments, follow this tutorial to learn some ways you can improve your boot time in Windows 10. 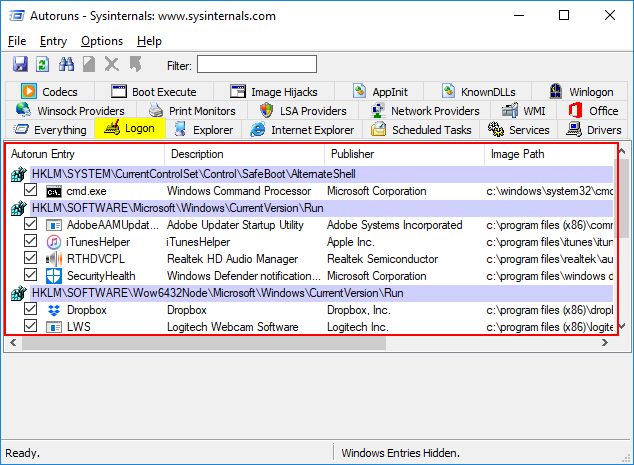 One of the most common causes that affect the boot speed in Windows 10 is the programs that automatically run when you are logging and in most cases, you don’t need them. Your design, music and video programs can be affected. It is necessary to control all the programs that run at startup. Fortunately, I will teach you some ways to disable those programs but be careful. 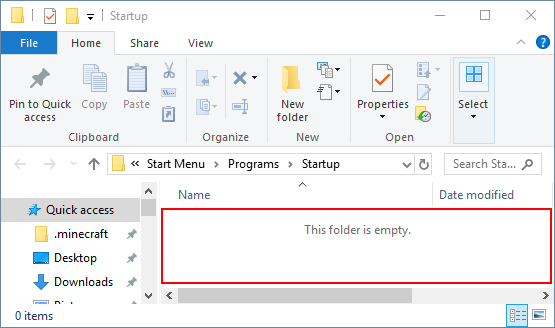 Press Enter or OK and the startup folder will open, in this case, there isn’t any program, but you can copy the shortcuts of applications that you need to start automatically at boot. If you see programs there that you don’t use, delete them to improve your boot speed. This and advanced application and can be very useful to manage multiple tasks directly. Among them is the option to disable startup applications or even the registry. If you want something more complete, this is your option. Once opened, click on the Logon tab, and from there you can select the programs you want to disable from startup. Another thing that affects the optimal boot of Windows 10 is the services. 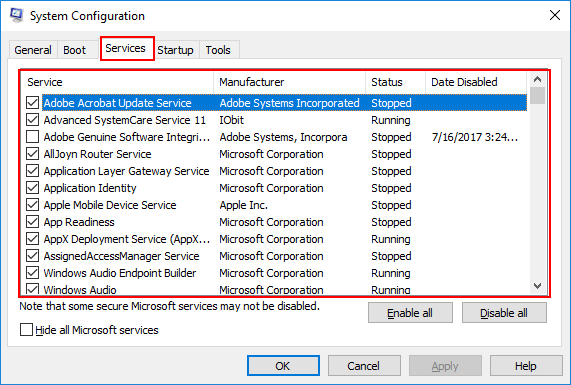 We know that many programs and applications bring associated services that run in the background for the proper functioning of the tool but sometimes Windows enable too many services, and this can cause slow start-up. To know what services are running in the background, follow this process. Press Enter and go to the Services tab, there you can see all the services that are running in the background and start at boot. 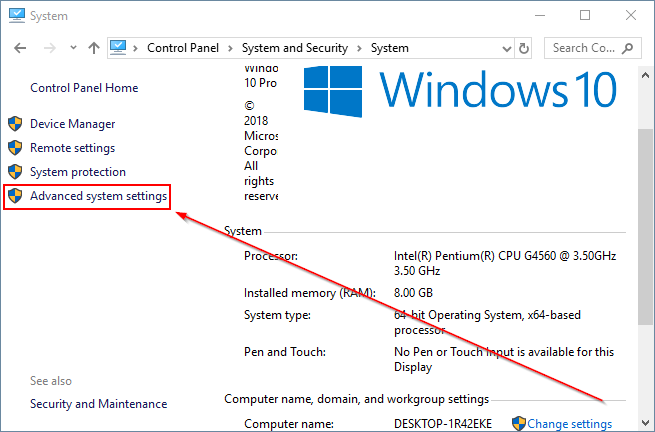 To stop a service from starting automatically in Windows 10, uncheck its box and click on Apply and OK.
Another thing that you can do in Windows 10 to significantly improve the performance is adjusting the visual effects. Go to the Advanced tab, click on Settings under Performance and finally uncheck the visual effects that you don’t want o even better, select Adjust for best performance. Click on Apply and OK. Finally, you can use the power options from the Control Panel to improve the performance of Windows 10. There click on Choose what the power buttons do. 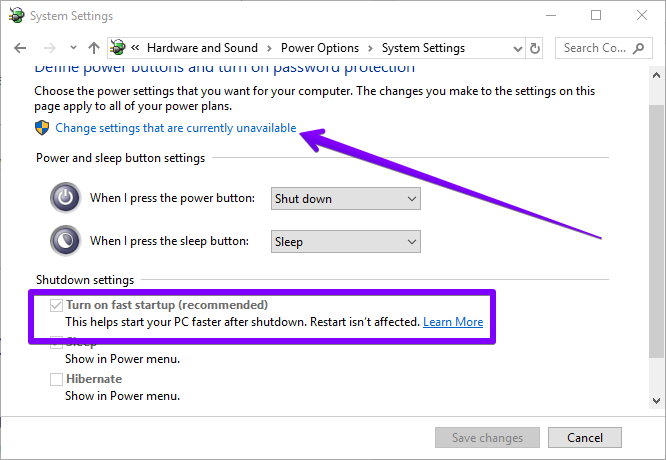 Now, click on Change settings that are currently unavailable and finally check the box Turn on fast startup to improve your boot speed. Using one of these alternatives you can quickly improve your booting speed in Windows 10. When we are in a hurry to access something inside our computer, this wait can become eternal. With these tricks, you will accelerate the boot speed of your Windows 10. 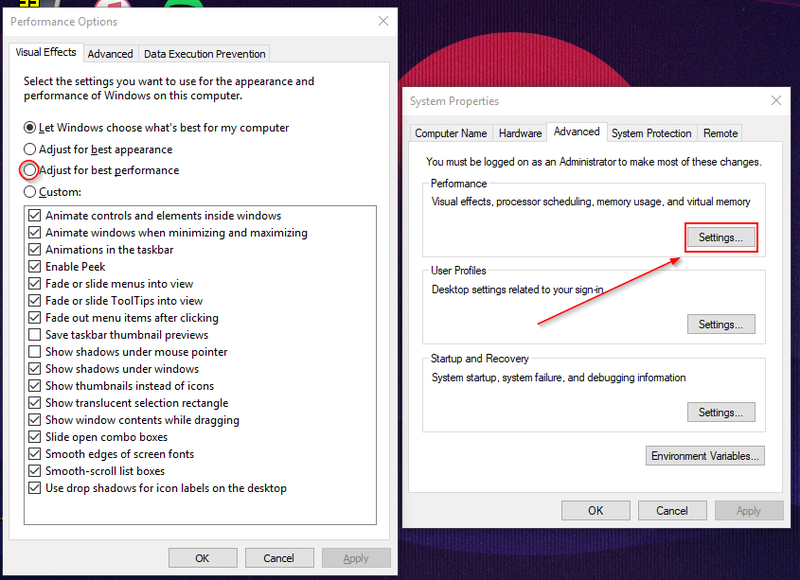 If for some reason your boot time is slow you can follow this another tutorial with some other tricks to improve or fix your slow boot problem in Windows 10.